rather than "WHAT THEY ARE"
Executive coaching is an individualised programme for CEOs, Business Owners and Business Executives who prefer personalised support and attention to empower themselves to deliver specific organisational results. We take a holistic, non-invasive, progressive approach to guide you in creating a permanent and positive transformation in life. Neuro Linguistic Programming (NLP) - A worldwide recognised personal mastery tool which uses large number of practical and easy to use psychological tools to re-programme the mind to create desired life results. Hypnotherapy - An effective approach to resolve problems at the unconscious level and bring about healing and positive transformation in mind content. Mindfulness Based Cognitive Therapy (MBCT) - A therapeutic approach which combines mindfulness meditative practice to bring inner balance, harmony and clarity of thinking. 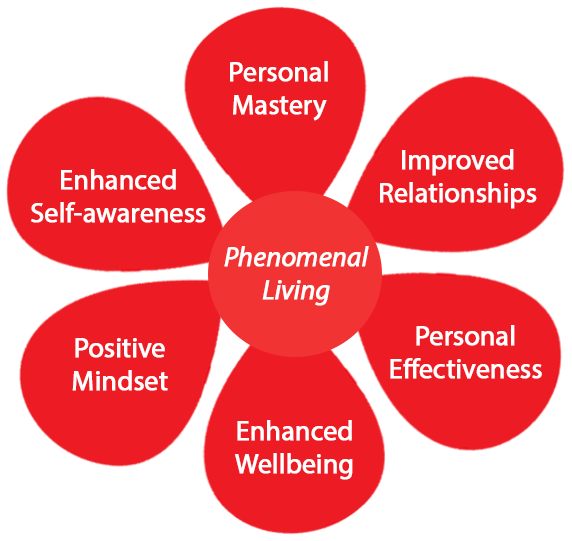 Positive Psychology - A psychological approach which focus on individual's strength and positive qualities of character to facilitate positive human functioning. We also use Mindfulness Meditation, Energy Healing Modalities, and Sequential Mind Technology. During the coaching programme, the participant will bring clarity and greater understanding about problems of all aspects of their life, leading to resolutions and healing which allow them to perform at optimal levels in work and life. "Thank you Jayamini for helping me to listen to myself and what the universe was trying to tell me, which I had always been too occupied to pay attention to. Thank you for opening my heart, mind, and soul to the immense possibilities that lie before me on this journey that I have chosen to experience. Jayamini, you are a person who identifies what each individual needs and are able to quickly work with everyone to get fast and lasting results. One only needs to open their mind and heart to you. B. Singhage - United Motors Lanka PLC. I always wanted to send few words to extol the wonderful few weeks of coaching you did for me. As you know very well, I always wanted to be perfect, and sometimes delays some extremely important tasks. So this testimony took a long time to find the exact words to describe those valuable few weeks you have taken me through. People say change is hard. It is; but it is much more achievable when you have Jayamini as a coach to guide you through the process. She is a professional coach, with unique perspectives and listening skills. I believe her coaching style is a perfect fit for any leader who wants to perform at a greater level. I was lucky to have Jayamini as an executive coach during a period of time where I struggled to find solutions for some of the obstacles which I couldn’t find remedies for years. During those coaching sessions, I was able to identify the blockers and mind barriers that have been holding me back and I was well directed to the right path. This coaching session was one of the best programs I have ever experienced in my life. When I made the decision to attend the Executive Coaching program, I didn't realize I was making a choice that would change my life forever. I am so much more confident in my ability to attract with processes at work and contribute to the success of the organisation with my fullest ability and focus on improving personal life by connecting with the most important people in my life. The coach was amazing! My favourite part about the program was the tailored feedback, I grew by leaps and bounds each day because of the coach's feedback I received. Coaching program changed my life so much that my colleagues see me as a different person with new skills, my husband and family see me as a delightful individual without fears and insecurities that had been holding me back before I began the coaching program. I can honestly say this coaching program improved the way I looked at life and exceeded my expectation about the program.